BENTONVILLE, Ark (September 28, 2016) — The Bentonville Film Festival (BFF) today announced the dates for the third annual festival, returning to Bentonville, Arkansas May 2-7, 2017. Co-founded by Academy Award® winner Geena Davis & ARC Entertainment CEO Trevor Drinkwater, the Bentonville Film Festival champions women and diverse voices in all forms of media. Along with founding sponsor Walmart and presenting sponsor Coca-Cola, and partners AMC Theatres, Lifetime and Starz — BFF is the only film competition in the world to guarantee theatrical, television, digital and retail home entertainment distribution for its winners in the following categories: Best Family Film, Audience Award and Best Narrative Selected by Jury. “We are so very proud of the progress we’ve made and the response we are getting in support of the mission of BFF. Now moving into our third year, I feel more confident than ever that — with the support of our partners — we will create change in the media our children view so that it will reflect the world they actually live in, which is half female and very diverse,” stated Geena Davis. BFF 2017 will expand its short film competitions and add a commercial competition as well. Attendees will continue to enjoy an inspiring lineup of narrative & documentary film screenings, industry-focused panel discussions, musical performances, celebrity spotlight events and much more. The annual family favorite/community event, “A League of Their Own” softball game will also return to celebrate that film’s 25th Anniversary. BFF experienced significant growth in its second year with a 70% increase in attendance, approximately 63,000 seats filled and a 300% increase in earned media for their sponsors. Thirty-three competition filmmakers out of 34 competition films attended, as well as notable guests Meg Ryan, Soledad O’Brien, Nia Vardalos, Kathy Najimy, Bruce Dern, Constance Wu, African American Film Critics Association President Gil Robertson, Robert Townsend & musicians Joe Walsh and Darius Rucker. 2016 Festival attendees were asked to rate their BFF experience – and 93% said it exceeded expectations. With the help of founding sponsor Walmart, presenting sponsor Coca-Cola and distribution partners AMC Theatres, Lifetime, Starz & VUDU, the Bentonville Film Festival remains the only festival to offer guaranteed distribution to the winning festival films for Audience, Best Family Film & Jury Awards. Walmart, Coca-Cola and BFF have shared missions to champion diversity and inclusion. As the largest seller of physical movies, Walmart is always seeking great content to offer its customers, Coca-Cola has always been an enjoyable part of the media experience – in theaters or in life — and BFF provides an avenue to identify compelling films from women and diverse filmmakers. In its inaugural year, the festival was able to offer distribution to 87% of its competition films through Walmart and other BFF distribution partners. The 2017 festival submissions for the BFF Film Competition will open on October 3, 2016. Films accepted into the festival will be announced March 2017. To learn more details about the BFF submission guidelines and process visit Bentonvillefilmfestival.com. Films can only qualify for the competition portion of the Festival by containing two or more of the following characteristics: female or diverse lead, female or diverse director, female or diverse writer, female or diverse production company, gender and diversity balanced cast, gender and diversity balanced crew. About Bentonville Film Festival (BFF): Co-founded by Academy Award Winner® Geena Davis, founder and chair of the Geena Davis Institute on Gender in Media and President & Trevor Drinkwater, CEO of ARC Entertainment in 2015, The Bentonville Film Festival (BFF) is a research based, commercially focused platform with a mission to champion women and diverse voices in media. BFF proactively supports content creation that inspires young minds to do great things. The Festival takes place during the first week of May in quintessentially American Town of Bentonville, Arkansas. About BFF Foundation: Bentonville Film Festival Foundation Inc. is a 501c3 non-profit organization focused on promoting women and diverse voices in the entertainment industry through research, education, mentoring and industry partnerships. 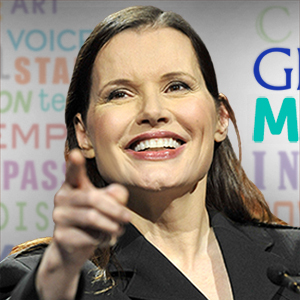 The primary partner of the Foundation is the Geena Davis Institute on Gender in Media. To make a donation, or for more information, visit Bentonvillefilmfestival.com or contact Gina Allgaier, Chief Engagement Officer. About Geena Davis and the Geena Davis Institute on Gender in Media: Academy Award® and Golden Globe-winning Geena Davis is one of Hollywood’s most respected actors, starring in several feature films that became cultural landmarks. A long-time advocate for women and girls’ empowerment, Davis is now acclaimed for her pioneering work to change the media landscape nearly as much as for her acting accomplishments. She is the visionary and founder of the non-profit Geena Davis Institute on Gender in Media, which uniquely combines groundbreaking research and behind-the-scenes advocacy. The Institute is successfully influencing film and television creators to dramatically increase the percentages of female characters — and reduce gender stereotyping — in entertainment made for children 11 and under. The Geena Davis Institute on Gender in Media has now commissioned the largest body of research on gender representation in film and television ever undertaken, spanning over 20 years. The results have confirmed the disparity Davis herself observed with her daughter: in family films and kids’ TV shows, there is only one female character for every three male characters. In group and crowd scenes, only 17% of the characters are female. The few female characters depicted are often hyper-sexualized, even in G-rated films. Davis was appointed Special Envoy for Women and Girls in ICT for the UN’s International Telecommunication Union (ITU) and is an official partner of UN Women, working toward their goal of promoting gender equality and empowering women worldwide. To learn more about Davis’ research, go to seejane.org.